At the request of a website visitor Bobby Hill, I hunted down and scanned this Simple Reed Servo Drive circuit of his that was published on page 31 of the June 1968 American Aircraft Modeler magazine. 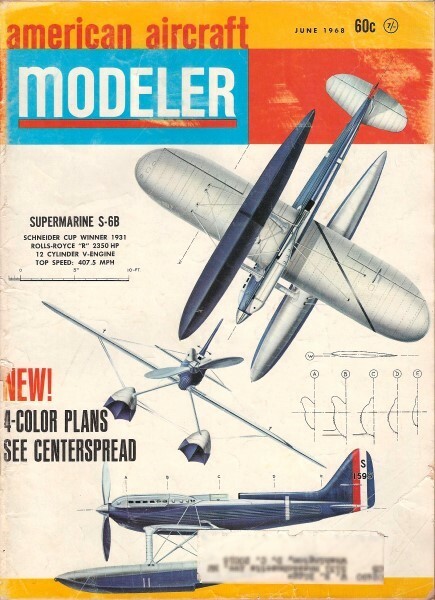 It was part of a monthly column by Howard Mc Entee called Radio Control World. Simple reed servo driver: As was the case with his trim servo amplifier for converting reed servos, which we diagrammed in a past issue, the self-neutralizing amplifier shown here will fit inside a Crescent 15-pin plug, so doesn't even have to go inside the servo. Arrangement has been used by Bobby Hill (2125 18th St. S. E., Washington, D. C. 20020) with Duramite servos. Circuitry should be such that negative voltage is applied to the bases of the 2N1303 transistors, when a reed vibrates. The four positioning contact strips are all connected together as a safety factor, and to lower resistance. Bobby Hill, a dedicated reed flyer, developed this remarkably simple reed servo drive amplifier that requires no bias battery. We needed this idea ten years ago! Other applications possible.